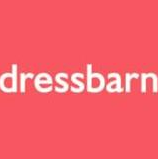 Dressbarn is offering 20% off your purchase for a limited time. The coupon is good in-store and online as well. Use coupon code JUNE2513 at checkout when purchasing online. Coupon is valid through 6/16/2013. Another coupon available is this one for $5 off your $25 purchase at Charming Charlie. This coupon is valid through 6/8/2013.